Many will argue that AutoCAD is not the best software for 3D modeling, everyone having his opinion about this depending on the industry he or she works in. 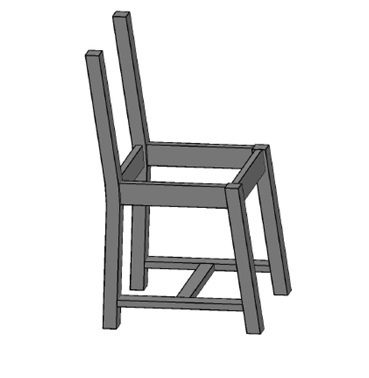 AutoCAD is one if not the most used CAD software out there, and if you happen to need to learn how to model a realistic 3D model using this piece of engineering, you will be served with this exercise. 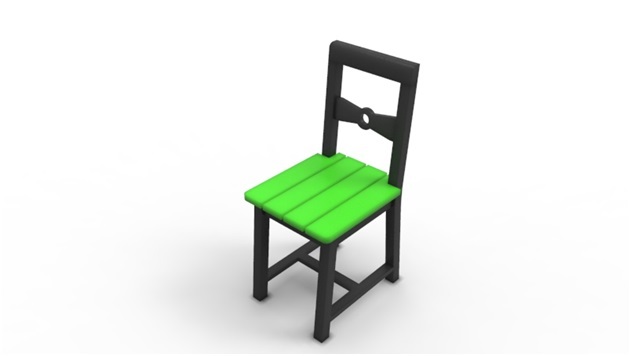 Here is the power of 3D modeling, and use this as a inspiration to design existing things around you using the CAD software you are longing to master. 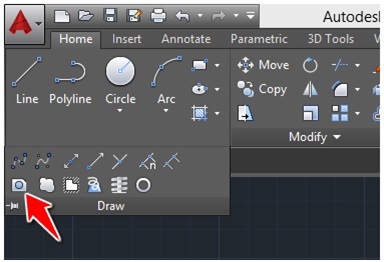 AutoCAD is the CAD software which will be the object of focus in this tutorial. Here are the information we will make use of all along the design. 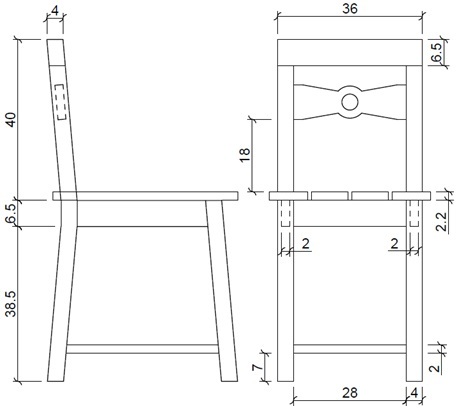 With the dimensions above, you can already have the big picture and as we will design this chair step by step, additional information will be disclosed. The latter will have a considerable value to help accurately replicate the object of this exercise. Let right dive into the design. 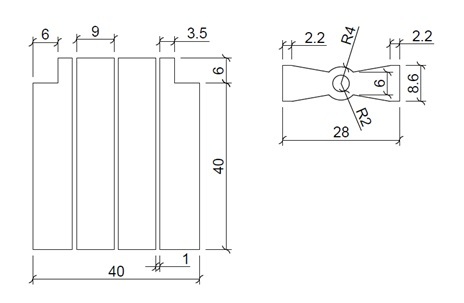 Using dimensions given above draw the following pieces. I will suggest you start with designing them together, before bringing them apart, since the information given makes it easier to complete de design correctly in that order. Here is what you should end up with after taking apart each piece. Use the region command on each of the piece. 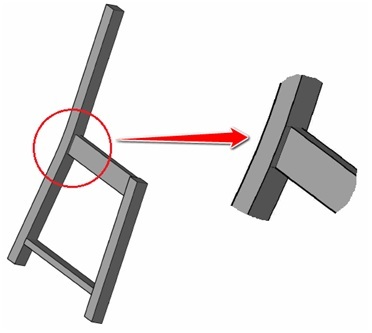 Since the seat holder was extruded by 2 units, it has to place on the legs in such a way that on both the left and right side, there is an empty space of 1 unit. 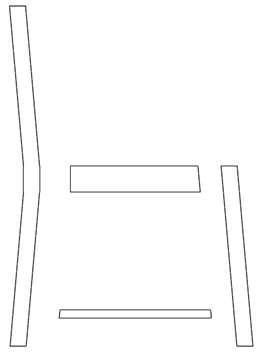 Design the two remaining parts of the seat holder. 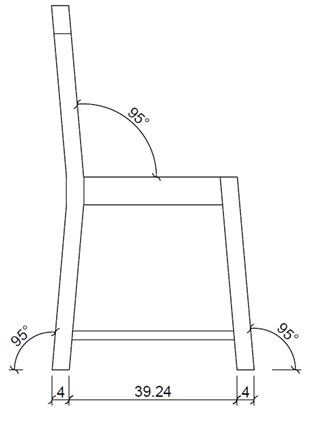 Dimensions: 6.5 X 28 with a depth of 2 units. Duplicate the part designed in step 4, and assemble the whole. You should end up with the following. 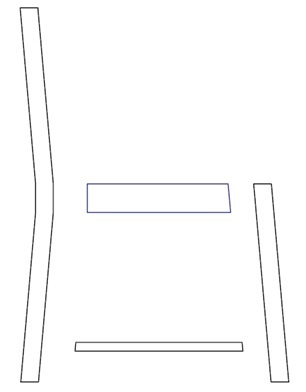 Create the seat and the mid rail following the dimension given below. 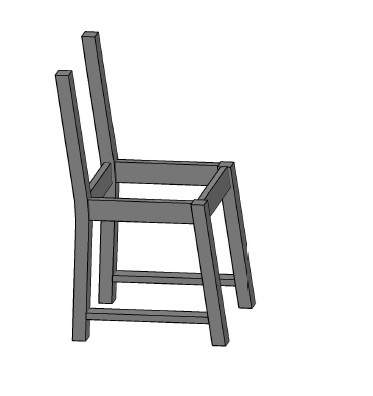 The Seat has to be extruded by 2.2 units and the mid rail has to be extruded by 2 units. Assemble the whole. Make sure to bend the rail by 5 degrees while assembling. Bend it by 5 degrees and assemble the whole. 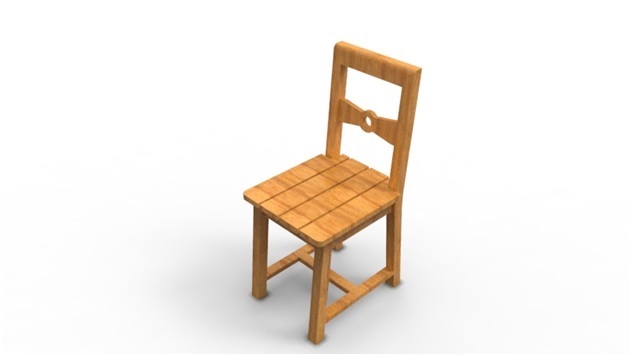 You can FILLET some sharp edges of the chair to make it more beautiful. 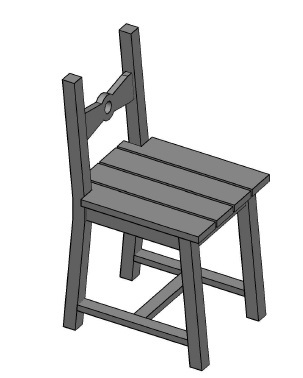 Here is the CAD file of this project. 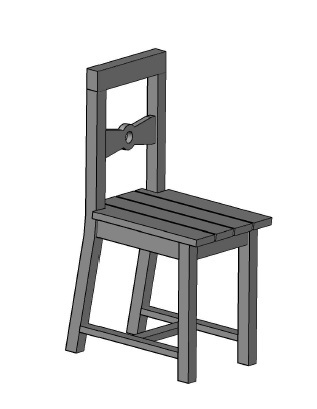 Since it is for beginners, then detail information should be given to how to make chair pieces from the beginning. It feels complicated as I am a beginner and not able to make it.